The art of pewter work is currently very popular all over the world. This ancient craft has experienced a revival and can therefore be enjoined by anyone to be used in modern household and personalized crafty products. The pewter is a softer thinner metal sheet on which crafters can play and express their skills. Suppliers offer different thickness and several qualities of pewter sheet and therefore crafters should consider their needs and type of end product to be made when purchasing pewter. Remember to take care of your pewter sheets to prevent scratching and folding. Wrap the sheets in a protective cover or store in a container. 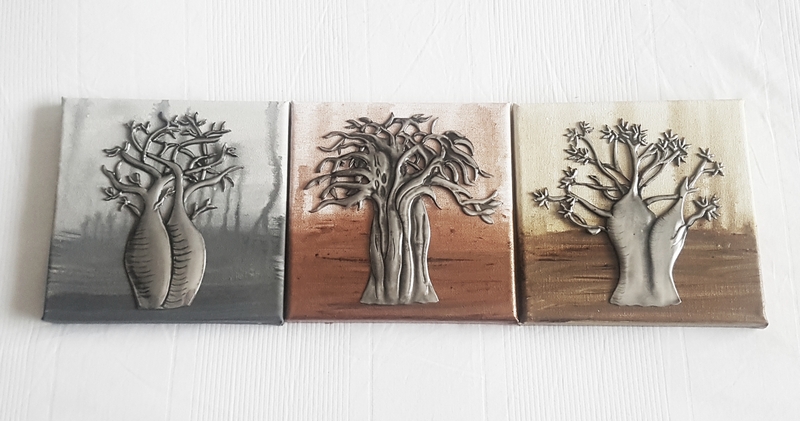 The tools used to fulfill this exciting hobby is freely available at craft shops can also be purchased online at pewter art academy (www.pewterart.co.za). A crafter only needs a few pewter tools and a small work space. Pewter includes various techniques that can be practiced from the first time crafter to the well experienced entrepreneur. ï¿½The more you practice, the better you getï¿½. You donï¿½t need to have any art or craft experience to be able to pewter. The basic techniques used in the classes and products include: low and high relief, gilding/gold leafing, embossing, stencil work, lead work paint finish, engraving and 3-dimensional designs. The pewter end products include designs done on wood, framed designs, metal, glass, candle edges or borders, card centers and can also be used in multi-media craft products. Classes are also offer in foil art. Foil sheets are a thicker version of household foil, but thinner and stronger than pewter. Foil is cheaper and a easy medium to experiment with, especially when using the cuttlebug.